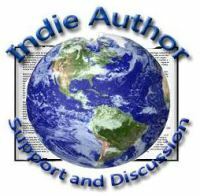 This particular review is an exception to my rule of only reviewing books that are either self-published or those of aspiring writers published by the smaller independent publishing houses. 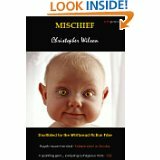 Chris Wilson, the author of Mischief, is a long established and successful author of several highly regards books. The reason for including him in my reviews is partly because he has been an immense help and encouragement to me in developing my own writing, but mainly because it is such a wickedly funny and well written book. By far one of the wittiest and wickedly funny explorations of the human condition I’ve read in a long time. It begins with what may (or not) be a simple act of kindness, namely the adoption of an abandoned child in the Amazonian rain-forest by a British zoologist, but quickly develops into a brutal but nonetheless side-splittingly funny analysis of human nature. Brought to England to be raised and educated, Charlie, the principal character and narrator, suffers an unparalleled crisis of identity. Due to his somewhat unusual appearance i.e. bright orange skin, yellow eyes, virtually bald from head to toe, eventually growing to be over seven feet tall, not to mention other peculiarities of his anatomy, Charlie believes himself to be some sort of ape, and not of the human species. Despite completing his education, getting a job, enjoying a number of relationships, and being obviously intelligent and articulate, this last trait being unique to humans, this is a question that is intentionally never truly resolved. Although not believing himself to be human, Charlie desperately wants to be accepted as such, or at least be accepted into human society. The problem facing Charlie is that he possesses none of the human character vices such as greed, anger, intolerance, aggression, and deceitfulness to name but a few, whilst at the same time being over endowed with an abundance of redeeming qualities such as empathy, kindness, and a distaste for violence of any kind. In his struggle to be human, Charlie tries to understand and embrace the former. It is hard for the reader not be sympathetic to his plight, whilst at the sane time secretly hoping that he fails, and retains everything that is good about himself. The book itself has a very literary and academic feel to it yet still retains an easy to read style. If I had to express just one criticism it would be that perhaps the author’s account of humanity is just a tad too pessimistic, but overall, a brilliant satire much in the vein of Swift’s Gulliver’s Travels, though with Swift it is more of a political satire; both comic and sad in equal measure, occasionally graphic though not obscenely so, this is a book that cleverly dissects human nature, and to a lesser extent, the academic world environment about him. Thoroughly enjoyable. Every parent or indeed anyone who remembers the magic of their own childhood will identify with this book from the very first page. 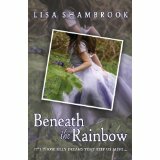 What starts off as a personal tragedy quickly blossoms into an enchanting story of joy, happy memories, and hope. True, it deals with the difficult theme of every parent’s worst nightmare, the loss of a child, but it blends seamlessly with the possibility of what lies beyond, a beautiful vision of a life beyond this one, and it is this aspect of the book that captivates the reader throughout. Told largely from the perspective of a young girl, Freya, killed in a tragic road accident, the story moves in and out of the lives of those left behind as well as those who she meets on the other side. 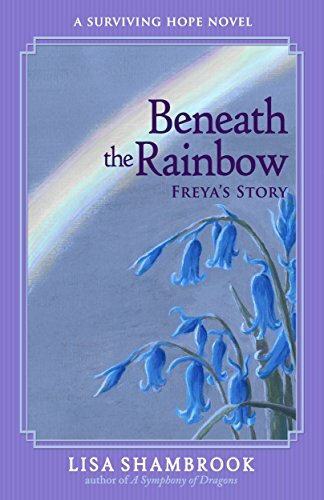 Freya acquires a wisdom beyond her years but the author still allows her the voice and emotions of a child, rather than trying to impose an adult vocabulary. There are some touchingly comic moments, such as the mourners at Freya’s funeral being sure they can hear the angels singing for a moment. There are several times, particularly towards the end that really tug on the heartstrings, moments of sadness skilfully intertwined with happiness and hope. On a literary note, the book employs a stream of consciousness style that bears a well-deserved comparison with Virgina Wolf’s Mrs Dalloway.